T.S. Sivagnanam & V. Bhavani Subbaroyan, JJ. Whether the Income Tax Appellate Tribunal is right in disallowing the claim of agricultural income of the assessee, which having failed to appreciate the evidence available on record by traversing beyond the scope of the records and against the findings given by the various statutory and judicial authorities as also the admissions made in the remand report by the assessing officer? By the common judgment, dated 30.09.2013, the appeals were dismissed, confirming the order passed by the Income Tax Appellate Tribunal. Mr.R.Krishnamoorthy, learned Senior counsel assisted by Mr.S.Wilson, learned counsel for the applicant submitted that this Court had not focused on jurisdictional grounds namely, (1) that the Tribunal failed to see the remand report of the respondents admitting to the fact of the applicant carrying on agricultural activity and earning income thereof, whereby the respondent is estopped from maintaining the appeal for inclusion of the said income of the applicant herein. The learned Senior counsel referred to the remand report, dated 25.01.2002 and submitted that the Assessing Officer has clearly stated that treating the entire income as ‘non-agricultural’ does not appear to be in-order and the Commissioner of Income Tax (Appeals) [CIT(A)], may consider the income as ‘agricultural’ to extent that he is satisfied and other issues may be decided on merits. Further, it is submitted that the Inspector of Income Tax, Virudhunagar, in his report, dated 30.03.1999, has stated that he made discreet enquiry in and around Devadanam Village with regard to ownership of the agricultural lands to the extent of 36 acres and agricultural operations thereon and all the 36 acres are nanja lands and fertile in nature and the lands are actually owned by K.Dhanushkodi and his son D.Muthukumar and these lands have been leased out to the applicant for a five year term commencing from 23.09.1994. The Inspector of Income Tax forwarded the statements recorded from the landowners along with the lease agreement and the statement of the watchman of land in question. Further, the Inspector of Income Tax stated that he had contacted the Village Administrative Officer of North Devadanam Village to ascertain the information regarding ownership of the land and the person to whom, the lands were leased to and the Village Administrative Officer, after verification of the Adangal Register issued a certificate to the effect that the lands belong to Mr.K.Dhanushkodi, and his son D.Muthukumar and the same has been leased out to the applicant. Further, it is submitted that the CIT(A) in his order, after taking note of the factual position, held that the action of the Assessing Officer treating the income as ‘non-agricultural income’ is not in-order and that he is not able to reason out as to how the Assessing Officer came to a conclusion that the said income represented ‘unaccounted income’ of the applicant’s husband, when there was no evidence on record even to suggest so. Therefore, the CIT (A) held that there is no reason to dispute the claim of the applicant that she earned agricultural income during the years. It is further submitted that this Court while dismissing the appeals relied only on the order passed by the Tribunal, which is nothing, but the extract of the assessment order and did not take into consideration the remand report and the detailed enquiry conducted by the Assessing Officer, pursuant to the remand direction. Further, it is submitted that it is a settled legal position that appeal will not lie before the Tribunal, when the order of the CIT(A) is based on consideration of the remand report of the Assessing Officer. Further, this Court ought to have considered that jurisdictional facts cannot be assumed, when particularly, the appeal is not maintainable before the Tribunal, since the remand report admits agricultural income on the basis of fresh enquiry made by the Assessing Officer in pursuance to the direction of the CIT(A). Further, the learned Senior counsel referred to the factual findings recorded by the CIT(A) based upon the remand report and the report of the Inspector of Income Tax and submitted that factually, it has been established that the applicant’s case merits acceptance. With regard to the power of this Court to review its orders, reliance was placed on the decision of the Hon’ble Supreme Court in the case of M.M.Thomas vs. State of Kerala and Anr., Appeal (Civil) No.9663 of 1994, dated 06.01.2000 and it is submitted that if any apparent error is noticed by this Court in respect of any orders passed by it, the High Court has not only the power, but also a duty to correct it. With regard to the jurisdictional issue that the appeal before the Tribunal at the instance of the revenue was not maintainable. Reliance was placed on the decision of the High Court of Bombay in the case of Jivatlal Purtapshi vs. Commissioner of Income Tax – Bombay,  65 ITR 261(Bom); the decision of the High Court of Punjab & Haryana in the case of Banta Singh Kartar Singh vs. CIT Patiala, 125 ITR 239 and the decision of the Kerala High Court in the case of Commissioner of Income Tax vs. Cochin Malabar Estates and Industries Ltd., 180 ITR 152. The learned Senior counsel submitted that as against the judgment in TCA.Nos.819 to 821 of 2010, dated 30.09.2013, the applicant had filed a Special Leave Petition in Special Leave to Appeal C.Nos.10135 – 10137 of 2014, and the said petition was withdrawn on the ground that the applicant will file a review before this Court and the Hon’ble Supreme Court granted liberty to the applicant to challenge the impugned order (Judgment in TCA Nos.819 to 821 of 2010), if it becomes necessary. Therefore, it is submitted that this Court would be well within its jurisdiction to consider these Review Applicant in the light of the liberty granted by the Hon’ble Supreme Court. Mr.M.Swaminathan, learned Senior Standing counsel appearing for the Revenue assisted by Ms.V.Pushpa, learned Junior Standing counsel for the Revenue raised a preliminary objection with regard to the maintainability of the Review Petition and that no review is maintainable under the Income Tax Act, as the power has not been conferred under Section 260A(7) of the Income Tax Act, 1961, (the Act). Without prejudice to the said statement, it is contended that the jurisdiction of this Court while considering a review application is limited and the applicant cannot be permitted to re-argue the case before this Court and especially when the factual submissions were made by the assessee, when the appeals were heard and considered and the same were dismissed. Heard the learned counsels appearing for the parties and perused the materials placed on record. First, we take up the preliminary objection raised by the Revenue with regard to the maintainability of these Review Applications on the ground that the Act does not confer the power of Review under Section 260A(7). In VIP Industries Ltd., vs. Commissioner of Central Excise (2003) 5 SCC 507, it was held that all provisions, which bestow the High Court with appellate power, were framed in such a way that it would include the power of review and in these circumstances, sub-section (7) of Section 260A of the Act, cannot be construed in a narrow and restricted manner and it must be read into sub-section (7) of Section 260A of the Act, as that is not the intent of the legislature when the powers of appeal are conferred by law. In Commissioner of Income Tax, Guwahati vs. Meghalaya Steels Limited (2015) 17 SCC 647, the appeal arose out of two judgments delivered by the High Court of Judicature at Guwahati. In the first judgment, various points on merits were gone into, inter alia as to whether deductions to be made under Section 80-IB of the Act, were allowable on facts and whether transport subsidies were or were not available together with other incentives. The High Court answered two substantial questions of law, which arose under Section 260A of the Act, the first question was answered in the negative i.e., in favour of the revenue and against the assessee. However, the second question was answered in the affirmative in favour of the assessee and against the revenue and the appeal was accordingly, disposed of. As against the said judgment, a review petition was filed by the assessee before the very Division Bench. The Division Bench recalled its earlier order observing that the Court did not formulate the substantial questions of law for adjudication before hearing of the appeal on merits, and there can be no escape from the conclusion that hearing of the appeal prior to its admission has to be treated as a hearing on the admission of the appeal in order to determine, if the substantial questions of law, as contended by the applicant, had or had not arisen and it was only upon having formulated the questions of law which, according to the High Court, were the substantial questions of law for adjudication in the appeal that the appeal could or ought to have been heard. Further, the Court observed that as there was omission on their part to formulate the substantial questions of law and, then, invite the parties to have their say in the matter, it amounted to denial of effective hearing to the parties concerned, particularly, to the review petitioners, and the Court must have the magnanimity and courage to acknowledge the mistake, recall the judgment/order, and then decide the appeal on merits after having formulated the substantial questions of law, which the Court may deem necessary for adjudication of the appeal. Accordingly, the judgment was reviewed and recalled. The Hon’ble Supreme Court held that by the review order, the Division Bench of the High Court felt that it should not have gone into the matter at all, given the fact that on an earlier occasion, it had reserved judgment on whether substantial questions of law, infact, exist at all or not and this being the case in a lengthy order, the Division Bench has thought it fit to recall its own earlier judgment and therefore, are not inclined to interfere with the judgment of the High Court. Further, it was pointed out that the High Court being courts of record under Article 215 of the Constitution of India, the power of review would in fact be inherent in them and in this regard, reference was made to the decision of the Hon’ble Supreme Court in the case of Shivdeo Singh vs. State of Punjab [AIR 1963 SC 1909]. After quoting the said decision with approval, it was pointed out that it is clear that on a cursory reading of Section 260A(7) of the Act, the said Section does not purport in any manner to curtail or restrict the application of the provisions of the Code of Civil Procedure. Section 260-A(7) only states that all the provisions that would apply qua appeals in the Code of Civil Procedure would apply to appeals under Section 260-A and that does not in any manner suggest either that the other provisions of the Code of Civil Procedure are necessarily excluded or that the High courts’ inherent jurisdiction is in any manner affected. In D.N.Singh vs. Commissioner of Customs and Central Excise, 2010 325 ITR 349, the Full Bench of the Patna High Court held that a review is maintainable in appeals under sub-section 71 of Section 260A of the Act. In Indian Carbon Ltd vs. Commissioner of Income Tax (Gauhati High Court), 2008 3 GLT 339 and Commissioner of Income Tax vs. Wiliamson Tea (Assam Ltd.,) 2009 319 ITR 368, it was held that Review Petition is maintainable, though there is no provision in the Act empowering the High Court to review its order, such power is available to the High Court, as a Court of record and therefore, the High Court can review its order in exercise of its plenary jurisdiction in order to keep its record correct and clean, particularly when the error is apparent on the face of the record. In the Commissioner of Income Tax, Panaji vs. Automobile Corporation of Goa Ltd., (2017) 11 SCC 315, the Supreme Court relying on the decision in the case of Meghalaya Steels Limited., (supra), held that review would be available in respect of the orders passed under Section 260A of the Act. In the case of M.M.Thomas (supra), the Supreme Court held that the High Court, as a Court of record, has a duty to itself to keep all its records correctly in accordance with law and if any apparent error is noticed by the High Court in respect of any orders passed that the High Court has not only power but also a duty to correct it. In the said case, the decision of the nine Judges Bench of the Supreme Court in the case of Naresh Shridhar Mirajkar & Ors., and Ors., vs. State of Maharastra & Anr., (1966) 3 SCR 744; AIR 1967 SC 1, was relied on and it was held that High Courts in India are superior courts of record, they have original and appellate jurisdiction and they have inherent and plenary powers, unless expressly or impliedly barred and subject to the appellate or discretionary jurisdiction of the Supreme Court, the High Courts have unlimited jurisdiction. Further, it was pointed out that if such power of correcting its own record, is denied to the High Court, when it notices the apparent error its consequences is that superior status of the High Court will dwindle down. Therefore, it is only proper to think the plenary powers of High Court would include the power of review relating to errors apparent on the face of the record. Thus, the legal principle having been settled in the aforesaid decision, the objection raised by the revenue does not merit acceptance and it is held that these Review Applications are maintainable. 15. The sheet anchor of the argument of the learned Senior counsel appearing for the applicant is that an appeal will not lie before the Tribunal when the order of the CIT(A), is based on consideration of the remand report of the Assessing Officer. It is submitted that this being a jurisdictional issue can be raised before this court for the first time and the Court would be entitled to take on record, even the fresh hearing and would be entitled to determine the jurisdictional fact. To examine as to whether there is an error apparent on the face of the judgment, dated 30.09.2013, and whether the jurisdictional fact as raised by the applicants arise for consideration, we would be required to take note of the facts of the case and since facts are identical for all assessment years the facts relating to assessment year 1995-96, is taken into consideration. The applicant filed a return of income originally on 29.01.1999, showing a total income of Rs.3,09,280/- which comprised income from money lending business and interest from bank deposits. The income return was accepted under Section 143(1) of the Act. A search was conducted by the Central Bureau of Investigation on 19.02.1997, at the applicant’s residential premises, as well as bank lockers standing in her name. The Assessing Officer reopened the assessment under Section 147 of the Act and made re-assessment by adding the gifts created to capital account of the applicant and her daughters amounting to Rs.4,32,921/-; loan of Rs.2,00,000/- from Mrs.S.Saraswathy and agricultural income of Rs.4,08,840/- treating it as ‘non-agricultural income’. Aggrieved by the said order, the assessee preferred appeal before the CIT(A). The applicant objected to the order of the Assessing Officer stating that she has furnished the details of the goods to the Assessing Officer during the assessment proceedings and no further details could be furnished, as the assessment was taken up only around the limitation period and as such sufficient time was not provided to her. The applicant furnished confirmations by way of affidavits from various donors of the gifts in dispute during the appellate proceedings and based on the affidavits, the applicant contended that there was no justification for the Assessing Officer to treat the gifts as ‘unexplained credits’. Similar contention was raised with regard to the loan of Rs.2,00,000/- from Mrs.S.Saraswathy. With regard to the order of the Assessing Officer treating the agricultural income as non-agricultural income, the applicants filed certificate from VAO to the effect that her agricultural income was around Rs.7,00,000/- per annum and that she had taken 30 acres of land in the village on lease from Mr.Danushkodi and his son D.Muthukumar and paying lease rent of Rs.75,000/- per year to Mr.Danushkodi and Rs.15,000/- per year to Mr.D.Muthukumar. Further, coconut trees were grown in about 17 acres and paddy was cultivated in the remaining 13 acres. This contention raised by the applicant was rejected by the Assessing Officer on the ground that the applicant had not furnished any details such as crop cultivated, area under cultivation, productivity, agricultural income tax paid, sale bills pertaining to agricultural produce and proof for expenditure incurred. Further, the agreement for taking 30 acres of land on lease had not been registered; the return of income admitting agricultural income was filed only after the search by CBI. The Assessing Officer thus added the aforesaid amount as unaccounted income of the applicant holding the same represented undisclosed income of her husband, which had been brought in the name of the applicant in the guise of agricultural income. Further, before the CIT(A), apart from furnishing other details, the applicant produced the copy of the decree passed by the Civil Court granting a decree of permanent injunction in her favour, when an attempt was made to evict her from the leased property. Since fresh evidence in the form of Court orders and other details were placed before the CIT(A), a report was called for from the Assessing Officer on the stand taken by the applicant in the appeal proceedings. Accordingly, the Assessing Officer submitted a report, dated 25.11.2002. In the preceding paragraphs, the contents of the report have been set out. It is suffice to state that the report was wholly in favour of the applicant/assessee. Thus, taking note of the report of the Assessing Officer, dated 25.11.2002, as well as the report of the Inspector of Income Tax, the CIT(A) held that the action of the Assessing Officer treating the sum of Rs.4,08,841/-, as ‘non-agricultural income’ was incorrect. 143(3) read with Section 147 of the Act. We find that there is no reference to the remand report dated 25.11.2002, which was called for by the CIT(A) based on which the CIT(A) allowed the appeal. To be noted, the Assessing Officer on report being called for, has made a detailed enquiry, and the Inspector of Income Tax has recorded statements from the landowners verified the Revenue records maintained in the office of the VAO and then submitted his remand report. The Tribunal ought to have made an endeavour to examine as to the effect of the remand report, which was the basis for allowing the appeal filed before the CIT(A). When the assessee filed appeals before this Court in TCA.Nos.819 to 821 of 2010, the appeals were dismissed and the findings in the judgment are contained in paragraphs 9 & 10. We find that while dismissing the assessee’s appeals, the question which was required to be considered is whether the Tribunal is right in disallowing the claim of agricultural income of the assessee, having failed to appreciate the evidence available on record and traversing beyond the scope of the records and findings given by authorities as also the admission made in the remand report by the Assessing Officer himself. Thus, what was required to be considered, was the effect of the findings given by the authorities more particularly, the admission made in the remand report by the Assessing Officer himself. Thus, a subsidiary substantial question of law, which would arise out of the substantial question of law framed is whether the Revenue was entitled to maintain an appeal as against the order of CIT(A), which itself was based upon a remand report 25.11.2002. If the answer to this subsidiary question of law is answered in favour of the assessee, then the appeal filed by the Revenue before the Tribunal has to be not maintainable in the light of the decisions quoted above. Though such a question was not specifically framed, the effect of the findings given by the authorities and more particularly, the admission of the Assessing Officer in the remand report, was required to be considered. Thus, in the absence of consideration of this important jurisdictional issue, we find that the judgment, dated 30.09.2013, suffers from error which is apparent on the face of the judgment. The learned Standing counsel appearing for the Revenue vehemently contended that before the Tribunal, the assessee did not object to the maintainability of the appeal and for the first time before this Court in a Review Application, the issue cannot be raised. Firstly, we have to take note of the fact that the issue canvassed before us, is a jurisdictional issue, which could be raised at any point of time. Secondly, the Tribunal was required to consider as to whether it had jurisdiction to entertain the appeal filed by the Revenue against the order passed by the CIT(A), which itself was based upon a remand report. As noticed above, the order passed by the Tribunal is a verbatim repetition of the assessment order, dated 29.03.2001. Thus, the Tribunal was required to consider the correctness of the order passed by the CIT(A) and if had been done in a proper prospective, the Tribunal would have noticed that the order allowing the assessee’s appeal by the CIT(A) was based on the remand report. If this had been taken note of, the Tribunal would have to consider as to whether the appeal by the Revenue was maintainable before it. In the case of Jivatlal Purtapshi (supra), it was held that the department having agreed to delete the amount from the assessment and having considered the deletion before the Appellate Assistant Commissioner, cannot be aggrieved by that part of the order to enable it to file an appeal before the Tribunal and therefore, such an appeal, neither competent nor capable of being entertained by the Tribunal. In the case of Raman Lal Kamdar vs. CIT, 108 ITR 73, the appeal before the Hon’ble Division Bench of this Court was against the order passed by the ITAT, Bangalore Bench and one of the substantial question of law which was framed for consideration, was _whether on the facts and circumstances of the case, it has been rightly held that the proceedings under Section 154, were rightly invoked._ The Division Bench held that the reference itself was incompetent for the reason that in the original assessment for the year 1962-63, a mistake at crept in while making out interest under Section 139(1)(iii). Thereafter, the Income Tax Officer issued a notice to the assessee proposing to rectify the mistake under Section 154 and calling upon the objections of the assessee. The said notice expressly referred to the tax effect which would result as a consequence of the rectification. The mistake was that instead of treating the assessee as an unregistered firm for the purpose of calculating the interest, the Income Tax Officer had treated the assessee as a registered firm. The assessee appeared before the Income Tax Officer and stated that he had no objection to revision proposed by the Income Tax Officer. Thereafter, the Income Tax Officer passed an order rectifying the mistake under Section 154 of the Act. 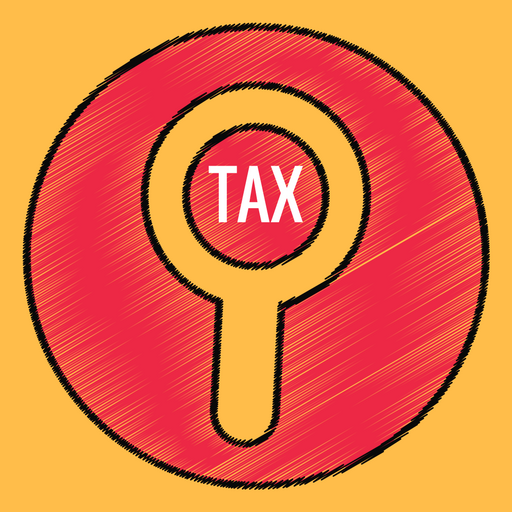 Notwithstanding the admission before the Income Tax Officer, the assessee preferred an appeal before the Appellate Assistant Commissioner of Income Tax. The appeal was dismissed upholding the order of the Income Tax Officer. The assessee preferred further appeal to the Income Tax Appellate Tribunal. The Tribunal also dismissed the appeal. It is thereafter, at the instance of the assessee, the above question was referred by the Tribunal for consideration of the Hon’ble Division Bench. The Division Bench opined that the appeals to the Appellate Assistant Commissioner and to the Tribunal by the assessee were incompetent, since the assessee appeared before the Income Tax Officer and stated that the assessee had no objection to the proposed revision and once ,the assessee has stated that it had no objection to the proposed revision and the Income Tax Officer had also revised them the original assessment as proposed by him, the assessee could not be said to be aggrieved by the order of the Income Tax Officer. It was further pointed out that only if the assessee was aggrieved by the order of the Income Tax Officer, he had the right to file an appeal before the Appellate Assistant Commissioner and once the assessee could not have had any grievance in view of the statement made by the partner, the appeal to the Appellate Assistant Commissioner was incompetent and equally the appeal to the Tribunal was incompetent and consequently, it was held that the reference to the Court on the second question said to arise out of order of the Tribunal is also incompetent. In the case of Banta Singh Kartar Singh(supra), a similar question arose in an order under Section 271(1)(c) of the Act. The Division Bench of the High Court of Punjab & Haryana, placing reliance on the decision of the Mumbai High Court in Jivatlal Purtapshi (supra), held that an order based on agreement cannot give rise to grievances and the same cannot be agitated in appeal. In Cochin Malabar Estates and Industries Ltd., (supra), one of the question which arose for consideration before the Division Bench of the High Court of Kerala was whether on the facts and in the circumstances of the case, the Tribunal was right in holding that the consent by the assessee will not confer jurisdiction on the Income Tax Officer to pass rectification order under Section 154 of the Act, it was held that the appeal filed by the assessee before the CIT(A) itself is incompetent, since the assessee cannot be considered as a person aggrieved by the order passed under Section 154. In the light of the above, we are of the clear view that the question of law as framed for consideration in the appeals, TCA Nos.819 to 821 of 2010, should have been re-framed or in the alternative, the subsidiary question arising out of the question framed namely as to whether the appeal before the Tribunal was competent, was required to be decided. That apart, since the issue touches upon the jurisdiction of the Tribunal to entertain an appeal, the Tribunal ought to have first answered the said question before proceeding to take up the other issues. As already noticed, the Tribunal verbatim repeated the order passed by the Assessing Officer, dated 29.03.2001, and ignored the remand report, dated 25.11.2002 and the findings rendered by the CIT(A) based on such remand report. Thus, if such is the situation, the appeal itself would have been incompetent. Hence, this question, which touches upon the jurisdiction of the Tribunal, has not been considered by the Tribunal, we are inclined to review the judgment and remand the matter to the Tribunal for fresh consideration. In the result, the Review Petitions are allowed and the judgment dated 30.09.2013, in Tax Case (Appeal) Nos.819 to 821 of 2010 is reviewed and recalled and the appeals stands disposed of, by remanding the matter to the Tribunal to decide the question of its jurisdiction to entertain the appeals filed by the Revenue against the orders of the CIT (A). In the event, the Tribunal decides the question in favour of the Revenue, it shall reconsider the other issues after opportunity to the Revenue and assessee. One more submission made by the learned Senior counsel for the petitioner is with regard to the monetary limits for filing appeals by the department before the Tribunal. Relying upon circular No.21 of 2015, dated 10.12.2015, issued by the CBDT, it is submitted that for the revenue to maintain an appeal before the Appellate Tribunal, the monetary limit has been fixed as Rs.10,00,000/-and on this ground also, the appeal is not maintainable. It is open to the assessee to canvass such a point before the Tribunal during the hearing. In the result, The Review Applications are allowed with directions. No costs. This entry was posted in Section 260A, Section 80-IB and tagged 407 ITR, agriculture income, In favour of Assessee, Madras High Court.